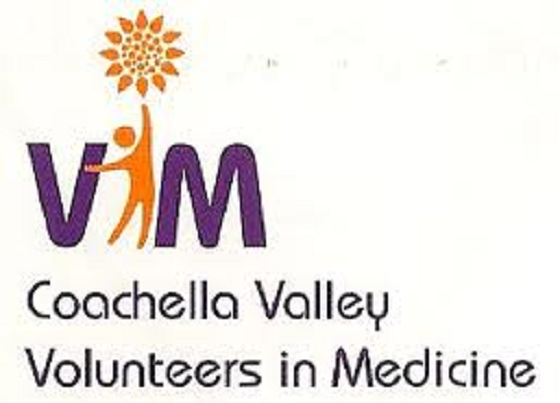 Coachella Valley Volunteers In Medicine (CVVIM) received the Inspiration Award at the 12th Annual Desert Nurses Appreciation Luncheon from the Rancho Mirage Chamber of Commerce May 15th at Omni Rancho Las Palmas in Rancho Mirage. Sponsored by Eisenhower Medical Center, the City of Rancho Mirage and Desert Regional Medical Center, the sold-out annual event, “honoring the exemplary nurses in our community who go above and beyond to take care of us each day” also highlighted the inspiration that CVVIM provides to our medical community. The award was accepted by CVVIM founder, Dr. Ron Hare, who shared with attendees how the Clinic came to be. After three years of planning to make the dream a reality, the first uninsured, low-income patients walked through the doors of CVVIM in November, 2010. A dedicated and diligent group of healthcare and community volunteers, along with governmental leaders, championed the cause of helping neighbors in need have access to medical and dental care at a local level. Since then, CVVIM has provided more than 25,000 patient visits. the talents and generosity of our volunteer physicians, dentists and other healthcare professional and support volunteers who selflessly donate their time. They are the heartbeat of CVVIM and we wouldn’t be able to provide our services to the community without them,” stated CVVIM Executive Director, Doug Morin. The mission of Coachella Valley Volunteers In Medicine is to provide primary healthcare services to low-income adults living in the Coachella Valley who have no insurance, or who are underinsured. CVVIM is the only no-charge healthcare clinic in the Coachella Valley, and its priority is always their patients’ health, privacy and safety. Services include medical and dental care, disease education, case management and community referrals. Conditions seen most commonly include diabetes, high blood pressure and high cholesterol, all of which cause serious problems if untreated, but whose complications can be prevented with regular medical care. In addition to never charging a patient for medical or dental care, CVVIM also assumes all associated costs necessary for diagnosis and treatment of illness, such as laboratory tests, imaging and x-rays. Scores of dedicated volunteers – doctors, dentists, physician assistants, nurse practitioners, nurses, medical and dental assistants and support volunteers, donate thousands of hours each year to accommodate more than 4,500 patient contacts a year. CVVIM receives no government patient reimbursements of any kind and operates through grants, donations and volunteer support.